The organized medical community doesn’t believe in chronic Lyme disease, said Michael Specter in a recent interview on NPR’s Fresh Air, and he appears to buy into this myth, too. We do know that some people don’t get better after treatment, he said, but the term “chronic Lyme” is vague, Besides, it’s hard to say you have the disease if there’s no evidence of the disease, he said. So what’s this argument about evidence? Why do people say there isn’t any? 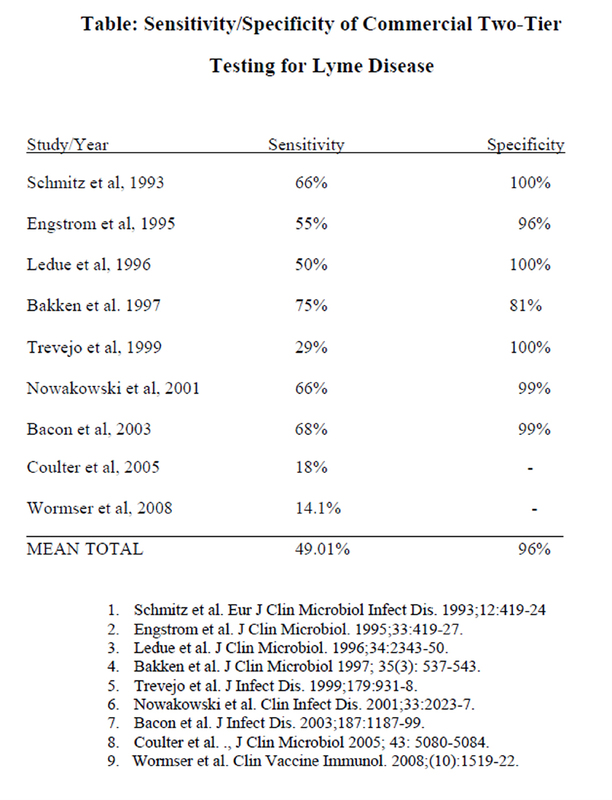 As the late Dr. Ed Masters was fond of reminding us, “Absence of proof is not proof of absence.” The serologic tests are often falsely negative – although the IDSA prefers to emphasize false positives. Specter lives in New York and may even have read Mary Beth Pfeiffer’s excellent articles in the Poughkeepsie Journal. One would think he might give a bit more nuanced view, or at least round out the picture for contrast. But no. In his good-natured, reasonable-sounding manner, he plows on with the party line. The problem is, it’s all wrong and peoples’ lives are at stake. Why didn’t Specter discover this, or the articles condemning the tests as insensitive? Did he look? “The antibody test works pretty well,” was his comment. Really? How does this look to you? Even a positive test is no guarantee you will receive treatment. Antibodies can remain elevated after successful treatment, and even symptom-free people may have antibodies. If you have a positive antibody test and you live in an area where Lyme is uncommon, or if your doctor just “thinks” it’s a false positive, you won’t be treated. Does it sound like “heads I win, tails you lose”? It is. Every time we reach a milestone, they raise the bar and we are back to square one, and that means no treatment. Download our handout on insensitive tests. Stay tuned for How “Comforting” Was Your Diagnosis of Chronic Lyme? HARD SCIENCE ON LYME: How “Comforting” Was Your Diagnosis of Chronic Lyme? HARD SCIENCE ON LYME: Are FDA-approved tests better or worse? NEWS: Real lives. Real stories. From the IDSA Lyme survey. Next Post » HARD SCIENCE ON LYME: How “Comforting” Was Your Diagnosis of Chronic Lyme? Hope you share your comments with Michael Specter. Please do. I wish all the doctors on IDSA would acquire Lyme. Then the world could hold them to their own standards. After contracting Lyme in N. California in 1980, I’ve had years of odd, strange symptoms and I had no idea I had Lyme. The thought had never crossed my mind (or that of my doctors, all of them, ever!). Finally, then there were several of us from the same boarding school that had the same symptoms and one was diagnosed with Lyme did it dawn on me that this might be the answer. It took me a year to get diagnosed with the subjective symptoms being the star of the diagnosis followed up by a “reactive bands” on a Western Blot, neither of which, gets me a CDC definitive diagnosis. 4 years later, I am being diagnosed again, hopefully for the final time. I have moved to Texas and am finally hopeful for my future. I spent my first year after being treated entirely bedridden and was then denied private disability and then last December was denied government disability. I was at my hearing with a PICC line, throwing up and with tremors. The doctor who was employed by the disability insurance office to decide whether or not I had a disability stated that he didn’t know why I had tremors but I certainly don’t have Lyme, according to his findings. This discrimination has to stop. I am tired of being told that I am not sick when I have 54 symptoms, 20 of which are severe. I don’t want a soap box but I do want my insurance companies to cover my treatments when my doctor says I need them. I want the government to acknowledge the seriousness of this disease before more of us are infected and die. The only way to get the word out is to let reports know when they misrepresent the truth about this aweful life stealing disease. Someone needs to get Specter’s email and start a campaign to write him and write and write until he understands and can report the truth. 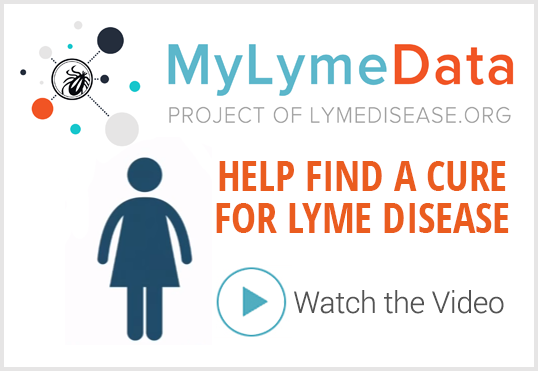 Rachelle LeMond – Lyme sufferer for 33 years and from CA! I think that you need some help in doing your research. 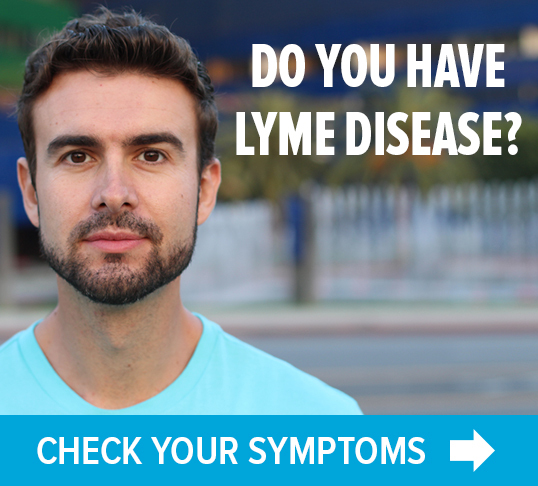 Have you read the articles in Lyme times? Apps arently not. Have you looked into the research finds of Dr. Eva Sapi and Dr. McDonald at the University of New Haven. How about Dr. Borrescanos findings just to name one. If you want more names I can give them to you. Did you watch the film, Under Our Skin, or read the book Cure Unknown by Pamela Weintraub inside the lyme epidemic. Do you know anything about Senator Blumenthals finding of the conflict of interest of the cdc. Mr. Specter, you insult the intelligence of all of these knowledgeable physicians and scientist because you have not done your homework. You only looked at one side of the picture. You need to talk to those that are chronically ill be fore you write articles that are obviously one sided. you owe all lyme sufferers a huge apology. I suffered with chronic Lyme Disease for over 4 years. I kept being misdiagnosed by many doctors. Finally, after finding a doctor that understood my illness it finally took placing a picc line into my arm for Rocephin for 2 months. That did not include the 8 weeks of antibiotics that I had taken prior the picc line. My Lyme cost over $300,000. I had cancer the year before and that was a walk in the park compared to Lyme disease which I also carried one of the co-infections. I lost the ability to walk, talk and could hardly eat. My brain was in a fog and could not remember anything. It has taken me so much time and effect to try to live a normal life again. Lyme Disease has to be taken seriously. It devastates the whole family. After the treatment were you able to walk and talk again? My mom has it and has symtoms of not being able to walk and slurs her words sometimes. Currently she has the picc in her arm. How long did you have the pic? I recently was tested positive for Lyme but have no real symptoms except for minor joint pain in an ankle. I thought it was just an old injury. The first young doctor who I met with said of course I would be treated with doxy. My regular doctor did not really want to treat me. I insisted that I be treated knowing that chronic Lyme can be severly debilitating. I finally was given the script. Can anyone explain why my doctor might hesitate? I cannot figure it out. My understanding is that if you catch it early the antibiotics work. are NOT reliable and give more false negatives than anything period . The most reliable tests are DNA / PCR , chronic lyme is very real ! reemerge and rebuild their numbers high enough for a positive test. Pharmaceutical companies do not want you to be correctly diagnosed because they stand to lose billions of dollars on misdiagnosed treatments . If you trust the government to protect your interests you will be sorely mistaken, the suppression of lyme must be overcome ! After 8 mos of Lyme symptoms (and a known tick bite) the CDC-approved Lyme test said negative, this sent me down the road of misdiagnosed “arthritis”, “chronic fatigue” “unknown source of neuropathy in my feet”. None of the “remedies” prescribed gave me ANY relief, in fact the symptoms increased! Finally, 10 mos after the CDC test, I took a comprehensive Western Blot test – thanks to Dr. Sam Donta (Boston) who treats and CURES chronic Lyme – that showed positive. I have been on antibiotics, for several weeks now, my symptoms have all but disappeared, I can walk without pain (what neuropathy? ?gee, cured), the headaches are gone, the stiff neck almost gone, the joint aches (arthritis?? 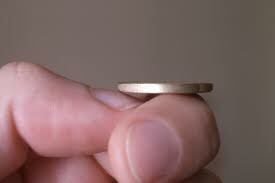 hmmm cured), the fatigue is beginning to subside – so much for that chronic fatigue diagnosis!. We need to take this to our representatives to fight for us against the insurance companies and “health care experts” who only want to throw the latest drug at us or worse, tell us this is all in our heads! Positive on Elisa and western blot. Exposed in NY. Bulls eye rash. Every symptom. I got so excited that I might actually receive treatment. Then I was told I just need to lose weight and live my life. If only.